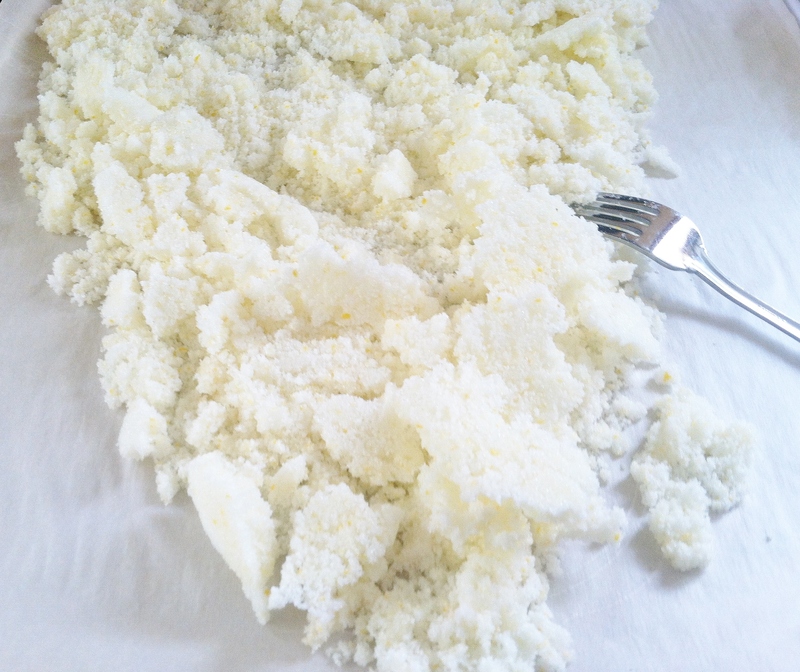 Kitchen Wisdom Gluten Free Lemon sugar is an old world recipe, which combines lemon zest with sugar. 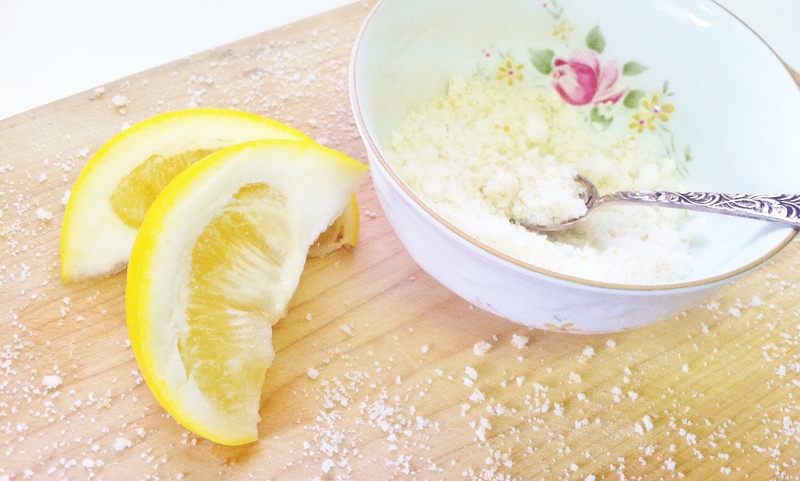 Very simple to make and quite delicious; Lemon Sugar is excellent for sweetening tea, lemonade, as the sugar in lemon cookies, (you can even add coconut oil to make a sweet and invigorating facial scrub). 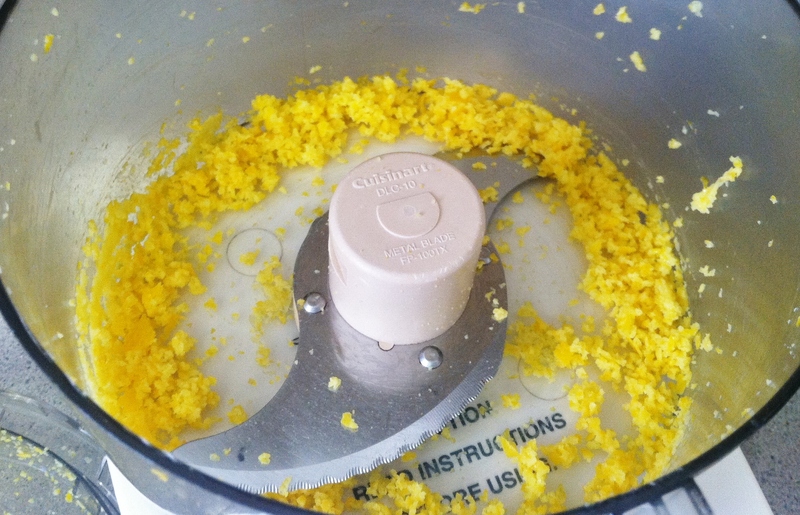 The original recipe uses a mortar and pestle to combine the zest with the sugar, it also calls for leaving sugar in the sun for the afternoon; I chose to use my food processor and oven on super low for 15 minutes. 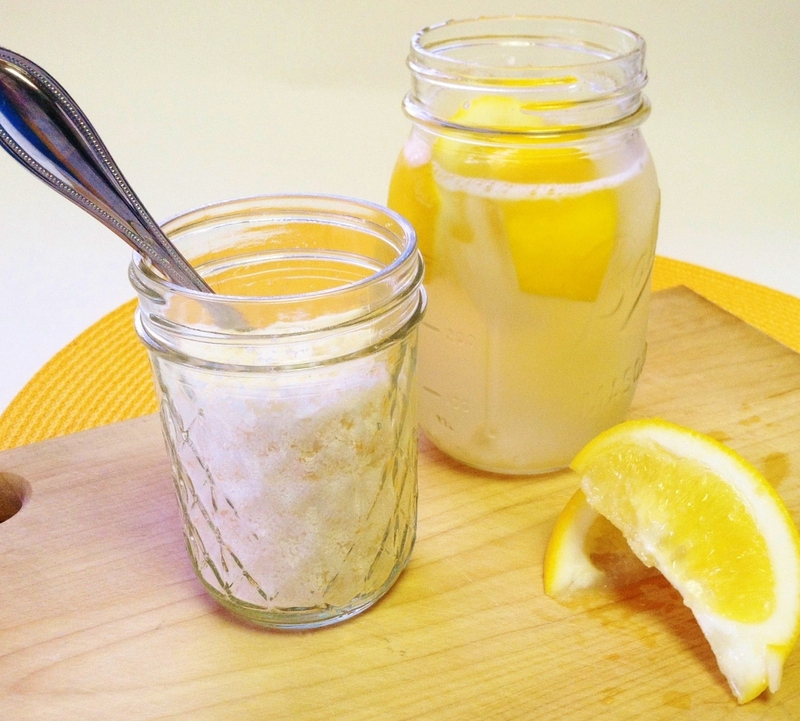 Easy to make, lemon sugar stays fresh for months stored in a jar with a tight fitting lid in a dark and cool cabinet. Italian lemons are much sweeter than the standard American Lemon, I recommend using Organic Meyer Lemons from your local natural foods store. 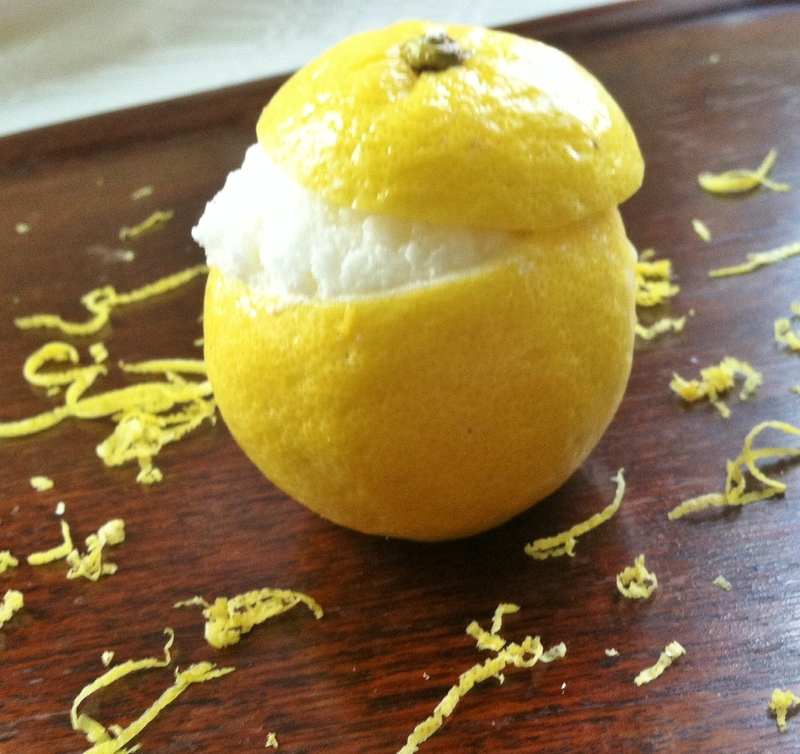 The Meyer lemon is sweeter and its organic peel has no wax. Pre-heat oven to 150 degrees; cut a piece of parchment paper and fit it on a large cookie sheet. 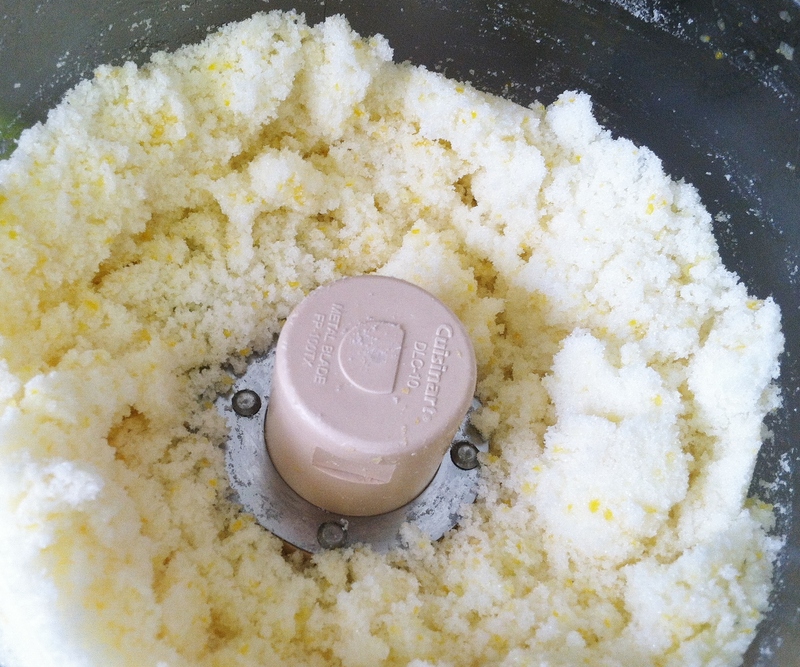 Place sugar in bowl of a food processor fitted with a chopping/mixing blade. Peel one large Meyer lemon, and add to the sugar. Pulse until all of the peels have become zest mixed with sugar. Lay the baked lemon sugar out in a thin even layer on a parchment lined cookie sheet. Bake in the center of oven for 15 minutes. Remove from the oven, cool and use a fork to break up sugar clumps. Transfer to a jar with a tight fitting lid and store in a cool dark cabinet. 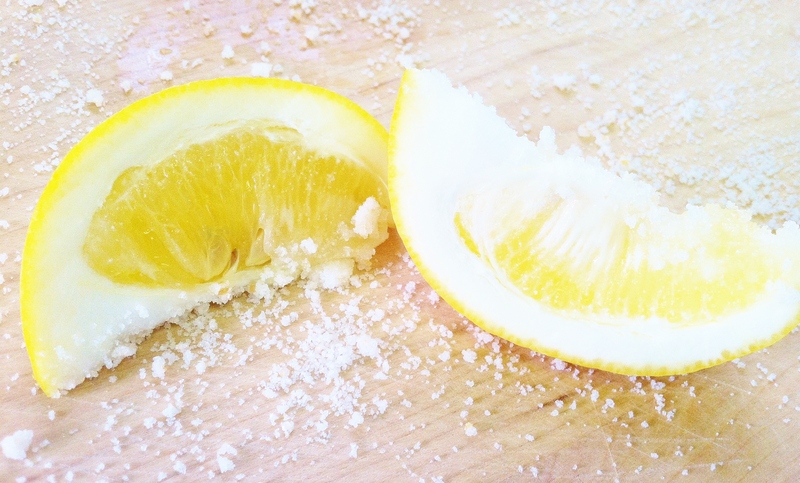 Remove the ends and slice the half lemon (you can use the peeled lemon from the sugar recipe). Place in jar; add sugar, ice and water. Place lid on jar and tighten, shake thoroughly to make Lemonade! Enjoy! 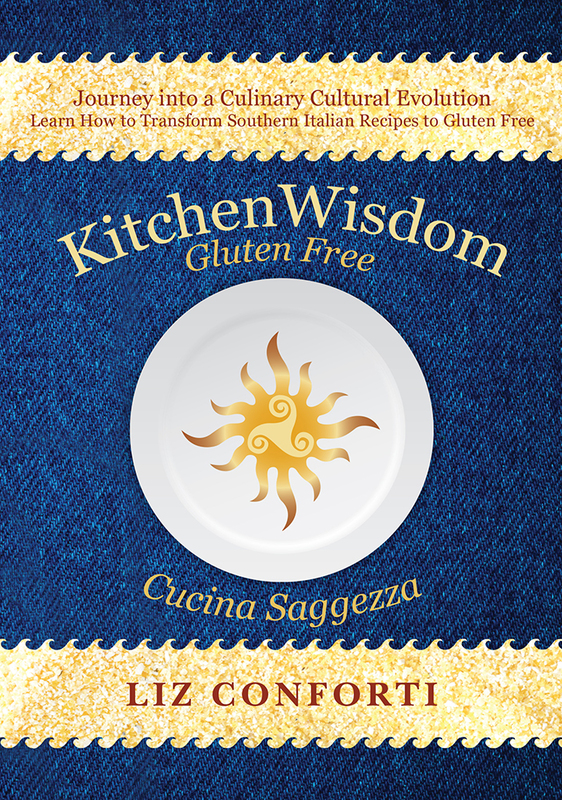 This entry was posted on July 17, 2016 by kitchenwisdom2013 in celiac disease, celiac recipe, food allergies, forget what you know about wheat, gluten free cookie recipe, gluten intolerance, kitchen wisdom gluten free, lemon sugar, lemonade, NCGS, non celiac gluten sensitivity and tagged drinks, lemon, lemonnade, meyer, Sugar, zest.